MRAs stands for Members’ Representational Allowance, or the budget that members of Congress use to pay their staffers and run their offices and that also, as CBS News points out, does not come out of lawmakers’ annual (and fairly cushy) salaries. For a two-parent household living in DC with one child and one working parent, a living wage looks like $28 an hour, or an annual salary of roughly $58,000 before taxes, according to the MIT Living Wage Calculator. For a single person, it’s $17 an hour, or an annual salary of about $35,000. In other words, entry-level staffers may be able to skirt by on congressional staff salaries if they are young and not married—but it would be very difficult, if not impossible, for anyone supporting a spouse or child to do so. And it should be said that a living wage is calculated as the basic minimum you need to cover typical expenses: overhead, groceries, and other necessities. A just wage, a wage that allows for some basic ease and comfort for workers, would be higher. All workers deserve that. 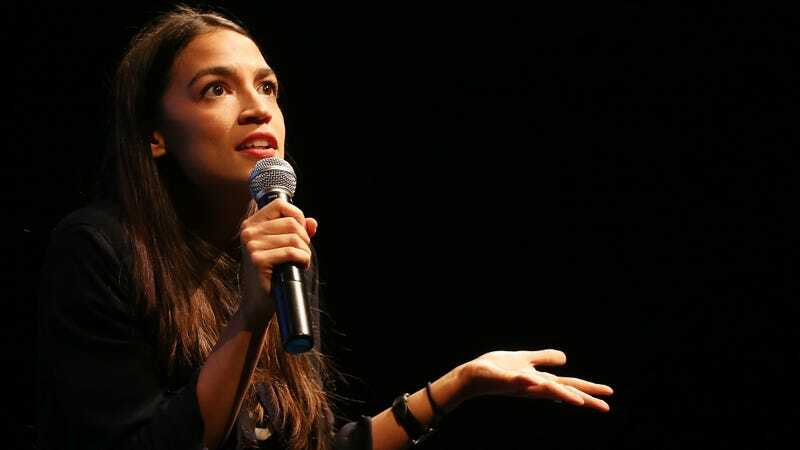 Paying workers a fair wage: just another way that Congress is out-of-touch with working-class people, and, it appears, also out-of-touch with Ocasio-Cortez.